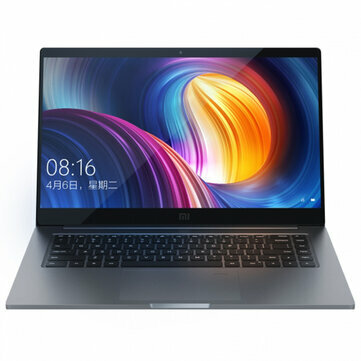 Xiaomi Mi Notebook Pro is a cost-effective notebook which supports fingerprint recognition. Equipped with a 15.6 inch FHD IPS display, brings your photos and videos to life. Powered by Intel Core i7-8550U processor, ensures high performance. 256GB huge hard disk storage brings you smooth using experience. Dual band 2.4GHz / 5.0GHz WiFi supported, ensures you high-speed surfing. Designed with HDMI output, featuring NVIDIA GeForce MX1050 Max-Q 4GB graphics, all of these give users a full suite for using dominance and offer users a truly seamless user experience. -- It supports multi-language. But you can change it to other languages in "settings" by yourself. If any problem about it, feel free to contact us. 3. Download your favorite apps through the Google Play Store or Market installed. -- Note: This Android/Windows tablet is designed only to work with the current Android/Windows OS installed in it. Any alterations such as upgrades or flashing a newer version will void the warranty. The stated ROM amount shows the maximum available ROM with nothing installed. However, the Android/Windows OS and pre-installed software from the manufacturer will occupy some of this ROM. The available ROM on the device will therefore be slightly less than the ROM listed.